The durable, lightweight design, color coded keys and easy-to-clean pan are just a few of the features that make the Dune Compact Balances a convenient option for schools, labs, kitchens or offices. The sealed keyboard is protected against dirt or spills and the keys are color coded to facilitate quick recognition. 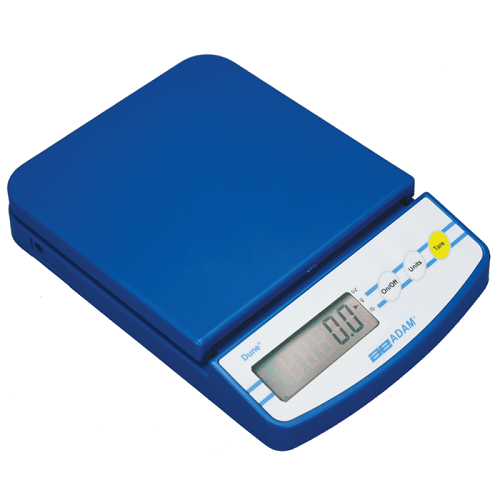 The scale is housed in sturdy ABS plastic and is powered by an AC adapter included with the scale or can be powered by batteries (not included). The large platform on the scale is easy to clean and the system has an auto power-off that will conserve energy. For increased visibility, a large display is included with a high-contrast screen that makes the measurements easy to read. The balance can measure in three different units: ounces, pounds and grams.